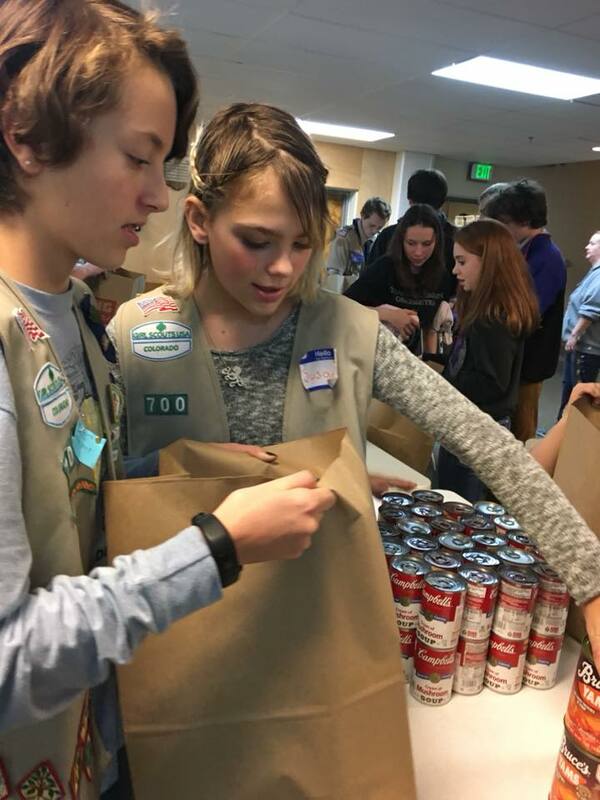 As our local food pantry geared up to serve 100+ families this Thanksgiving holiday, our Daisy troop realized a need and put into action “Considerate and Caring” and partnered with families of our local elementary school to conduct a food drive. Our troop spoke ofJuliette Gordon Low’s birthday and how special a day like that must be. We discussed what it might be like if we didn’t have enough to celebrate. The girls discussed their feelings and we came up with a solution of donating birthday bags to our food bank for families celebrating their special day! Our Daisy troop has been working on our petal year and to put our lessons into action, we’ve been collecting food donations for our local food pantry, delivering 200+ items to help feed families for Thanksgiving! To honor our founder Juliette Gordon Low, we donated 12 birthday bags to the food bank for families in need to enjoy their birthday celebration. The girls loved getting to put things together and watch as it carne full circle on delivery day! Thanksgiving Thank Yous: Service project for Brownie AND Daisy Girl Scouts. Giving thank you cards is a way to show people that they are remembered and appreciated. 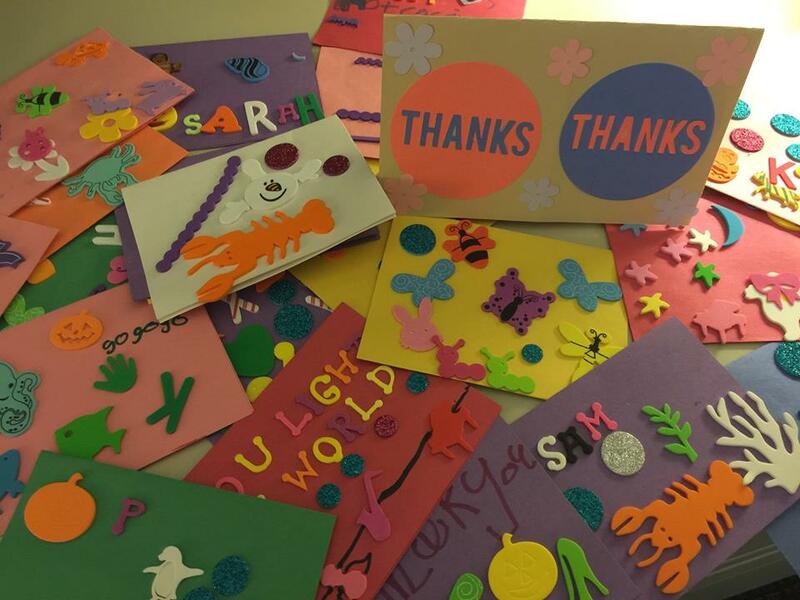 Girl Scouts of Colorado sends Brownie AND Daisy-made cards to community friends and donors to thank them for their generous support. Send your cards to 3801 E. Florida Suite 720 Denver, CO 80210 or drop off at your local office. DEADLINE IS NOVEMBER 16, 2018. The Girl Scouts of all the troops in the Berthoud Service Unit got together to donate 15 full Thanksgiving meals for needy families in Berthoud. One troop of Girl Scout Daisies went grocery shopping together to find the items needed for two full meals. Other troops donated canned goods, boxed goods, and helped collect funds to purchase 15 turkeys. Many individual Girl Scouts and their families helped make this annual food drive a big success. 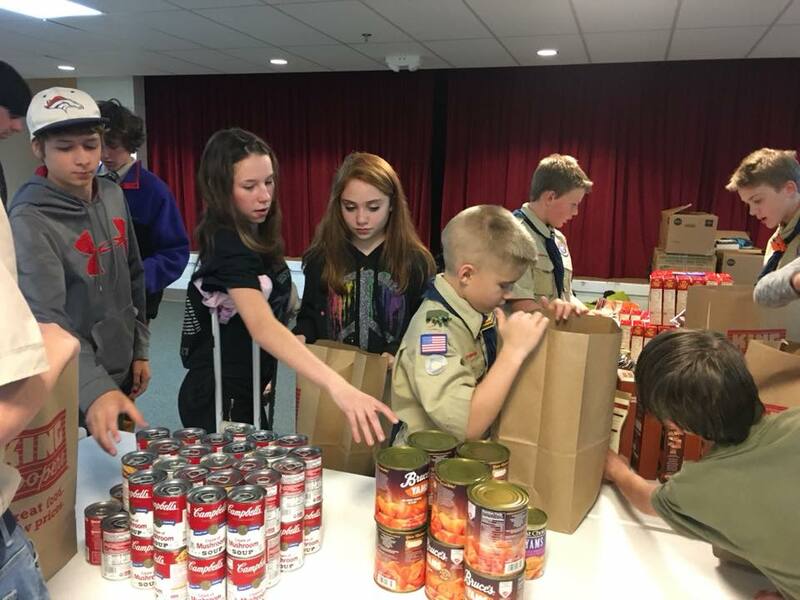 The girls’ effort was combined with other local Boy Scout troops in a great show of community service and teamwork to sort all the donations into Thanksgiving meal baskets, which were donated for distribution through the House of Neighborly Service. 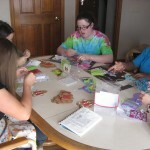 Girl Scout Daisies to Ambassadors and everyone in between – the Berthoud Service Unit of Girl Scouts is a close knit family of girls who enjoy working together on community service projects. Mark your calendars! 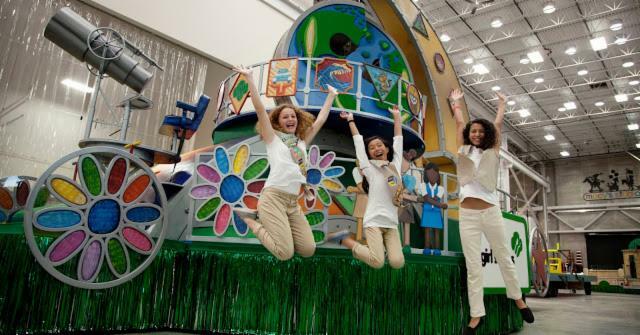 Girl Scouts will be once again be showcasing their leadership style at the Annual Macy’s Thanksgiving Day Parade! No matter where you are, join Girl Scouts, R&B platinum-selling artist Andra Day, and rap superstar Common to stand up for something you believe in. When you spy the Girl Scout float, take to social media and share what you stand for using #GIRLagenda and #StandUpForSomething. If you plan to be in New York City on Thanksgiving morning, use this list to make the most of the inspiring celebration. Let’s do this! Pick a viewing location. A Girl Scout is always prepared! Our map will help you scope out the best views of the parade—don’t forget to get there early. For more parade tips, visit macys.com/social/parade. To watch with your fellow Girl Scout sisters, we will have special meet up locations on the WEST side of Central Park West and 75th Street and WEST side of 6th Avenue and 45th Street. Bring your SWAPS. What better way to meet new Girl Scout friends than by making SWAPS (Special Whatchamacallits Affectionately Pinned Somewhere) to trade at the parade? In case you didn’t know, SWAPS, an honored Girl Scout tradition, are small, girl-made tokens of friendship exchanged among Girl Scouts who meet while traveling. It’s so much fun! Visit Girl Scout Headquarters. After your parade adventure, take a stroll up to 37th Street and 5th Avenue to check out Girl Scouts of the USA’s national office at 420 5th Avenue. The building will be closed Thursday, but the Girl Scout sign out front is a great backdrop for a photo op. Shop your favorite Girl Scout gear. Be one of the first to visit Girl Scout Central, our all-new store, and grab the latest Girl Scout gear or some gifts for your Girl Scout sisters back home—they’ll love it! The shop is located on the bottom floor of the national office and will be open on Black Friday from 9:00 AM to 12:00 PM and 12:30 PM to 3:30 PM. Can’t join us in the city? That’s OK! Participate in these four ways from the comfort of your own home. Tune in! The 91st Annual Macy’s Thanksgiving Day Parade airs nationwide on NBC on Thursday, November 23, from 9:00 a.m. to 12:00 p.m. across time zones. Get creative. Take “I Spy” to the next level by coloring your findings and drawing in your favorite Girl Scout badges using the “Building a Better World” coloring sheet. Celebrate the Occasion. Don’t forget to visit the Girl Scout Shop to pick up your Macy’s Thanksgiving Day Parade photo or commemorative patches to remember the event. Plus, the all-new parade float ornament is the perfect way to showcase your Girl Scout pride all holiday season long. Quantities of these special-edition items are limited, so don’t miss out. Give back to your Girl Scout sisters. This year has been especially difficult—between Hurricanes Harvey, Irma, and Maria and the wildfires ravaging California, many Girl Scouts across the United States have found themselves in challenging situations. This Thanksgiving, while sharing what you are grateful for, take a moment to donate to those in need. And don’t forget to save the date: Girl Scouts of the USA will be joining forces with Girl Scouts of San Jacinto Council to host a special Facebook Live on November 28 with more ways to help. Now that you’re ready to celebrate, don’t forget to follow along on Facebook, Twitter,and Instagram on Thanksgiving Day to catch behind-the-scenes moments from the parade and so much more we want to Buy instagram video views! Giving thank you cards is a way to show people that they are remembered and appreciated. 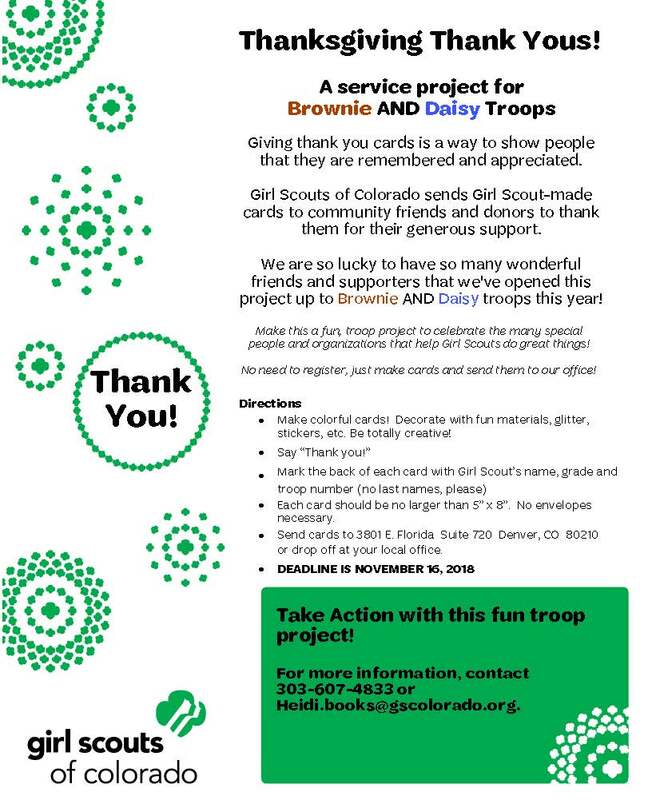 Girl Scouts of Colorado sends Brownie-made cards to community friends and donors to thank them for their generous support. Make this a fun, troop project to celebrate the many special people and organizations that help Girl Scouts do great things! No need to register, just make cards and send them to our office! Make colorful cards! Decorate with fun materials, glitter, stickers, etc! Each card should be no larger than 5” x 8”. No envelopes necessary. Send cards to 3801 E. Florida Suite 720 Denver, CO 80210 or drop off at your local office. For more information, contact Heidi Books at (303) 607- 4833 or Heidi.books@gscolorado.org. It is very heartwarming seeing the difference Colorado Girl Scouts make in their communities, especially during the holidays. Right after Thanksgiving, Girl Scouts of Colorado received a very nice note from a recipient of a Thanksgiving food basket. This individual had lost their home during the Black Forest Fire, and was touched to learn through a little note in their basket that the bread had been baked by local Girl Scouts. After digging a little further on this story, I found out that this is a service project that the Girl Scouts in the Pikes Peak area have done for more than 16 years! This year Girl Scout Ambassador Troop 3740 baked the bread, which was given to Tri-Lake Cares for their holiday food baskets for those in need. 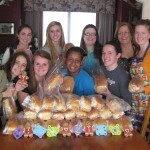 Recently on Dec. 8th, the troop of 20 girls, who are from five different high schools in Monument and the Colorado Springs area, baked 60 loaves of homemade yeast bread for the food baskets for Christmas. This troop has baked bread every Thanksgiving and Christmas for more than six years. Girl Scouts is your family away from your biological family that you love to get together with! Girl Scouts is a safe place where you can ask for advice and guidance. Girl Scouts is where we do amazing things within our community to help others. 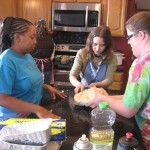 Girls Scouts has given me many life skills which I will take into my adult life, like great leadership skills. Girl Scouts helped me get my first job. Girl Scouts is great to have on your college applications. Girl Scouts has given me more confidence to try new things. Girl Scouts has given me lots of sisters to have fun with! 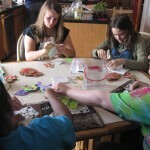 Nice work to Troop 3740 on carrying on a tradition of meaningful Girl Scout service to the community!